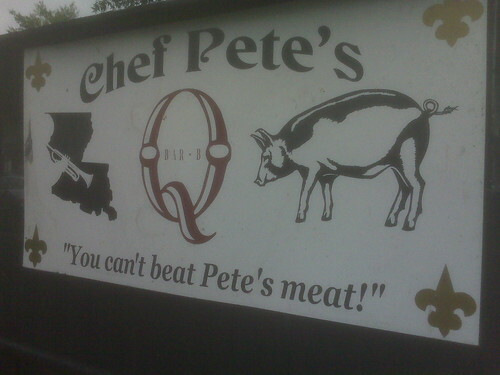 "You can't beat Pete's meat". 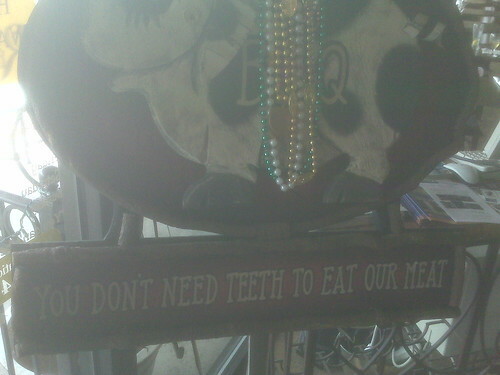 There is a sign inside that says "You don't need teeth to eat our meat". The staff also wear shirts with "You don't need teeth to eat Pete's meat". We asked to buy some of the shirts, but our waitress claimed that they were all sold out after a "gay bowling tournament" (her words).